August Herrmann's correspondence files are housed at the National Baseball Library. 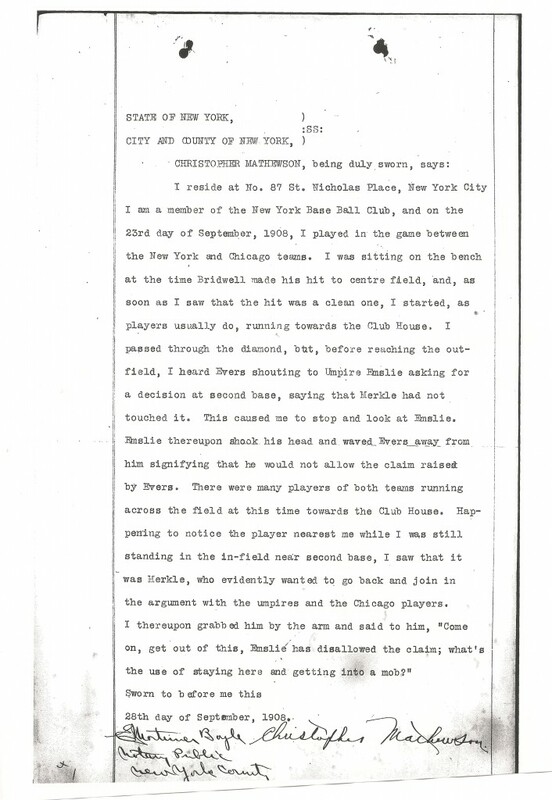 We recently uncovered and reported significant evidence showing how this great archive has been compromised by large-scale thefts from Cooperstown in the 1980’s, however, the majority of the collection is still in tact thanks to the conservation efforts of the current National Baseball Library officials and employees. Half of the collection is now available on microfilm thanks to funding provided by the Yawkey Foundation. 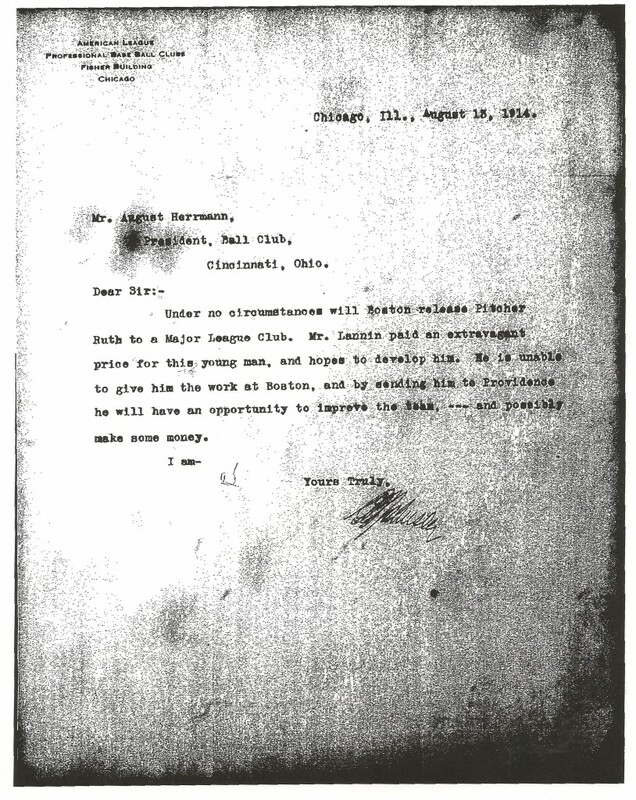 Many letters sent to Herrmann from American League President Ban Johnson were stolen from the Hall of Fame and have since been sold at public auction. 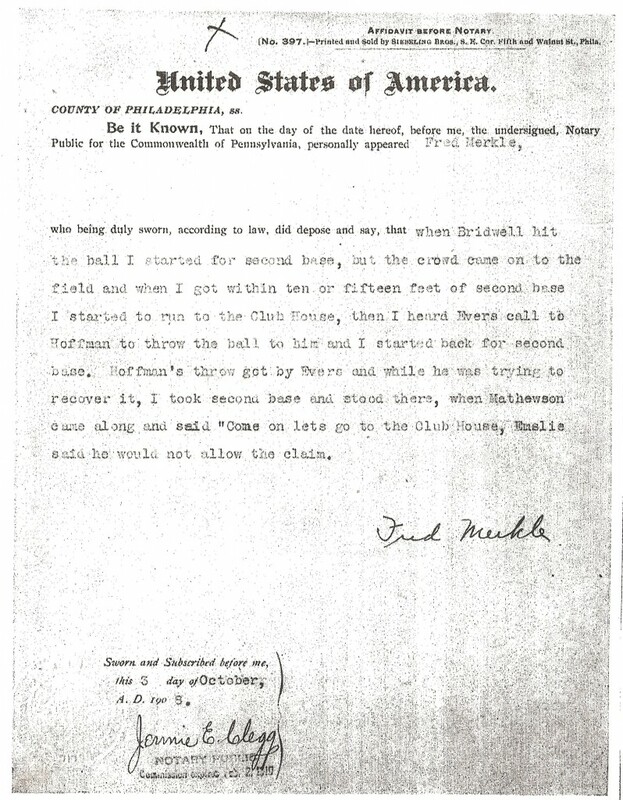 This historic letter eluded theft and shows that if Herrmann had his way, Babe Ruth would have been a Cincinnati Red. 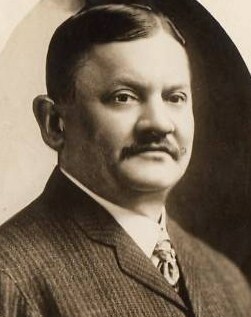 Dave Grob’s research on early twentieth-century uniforms benefited from his discoveries in the “Herrmann Papers” archive. His recent article for MEARS shows how important the Hall of Fame’s archive is to his work authenticating uniforms: http://www.mearsonline.com/news/newsDetail.asp?id=770 The documents in the archive related to uniform ordering offers unique insight into the way ballclubs chose manufacturers and how they went about outfitting their players. 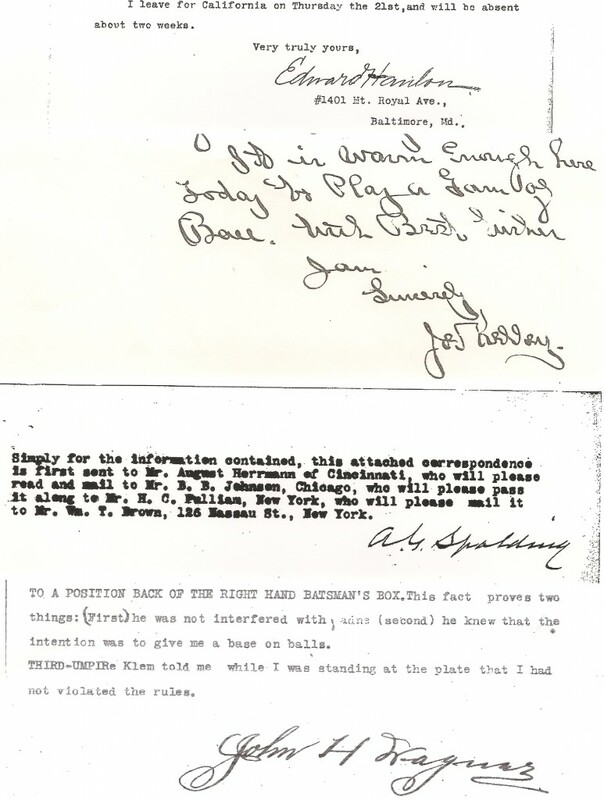 The Herrmann archive includes correspondence from the Spalding Company about uniform orders for the Reds. 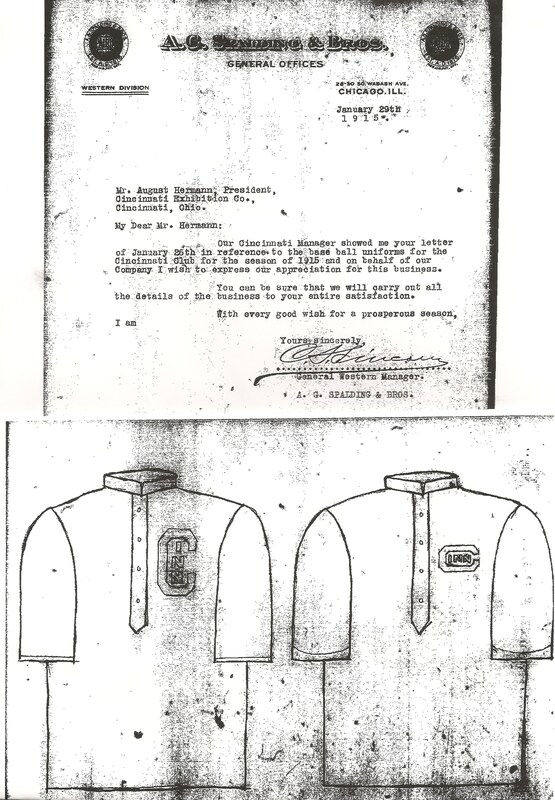 (Top) Spalding writes Herrmann about the Red order for the 1915 season and also includes Spalding's hand drawn artist renderings of the uniforms for that season (bottom). Herrmann and the League Presidents oversaw player contract disputes and other labor issues under the reserve clause. 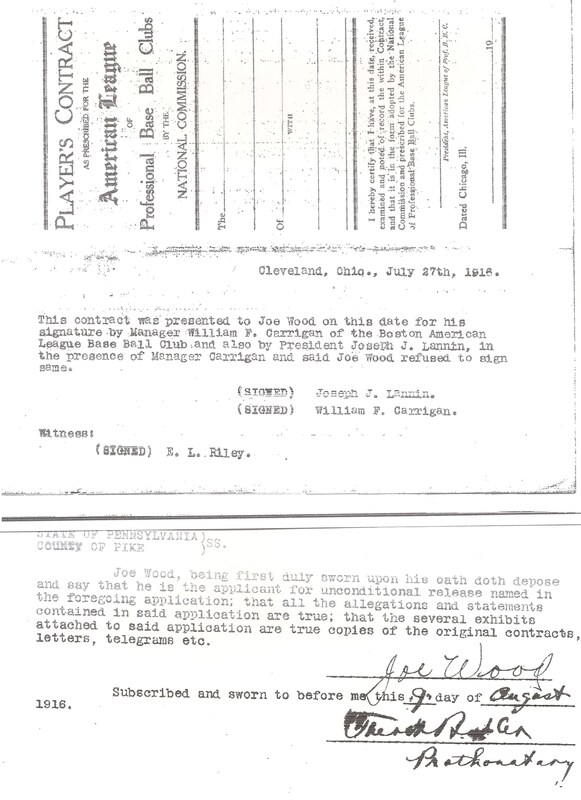 In this case Boston hurler ”Smoky Joe” Wood refused to sign his contract with the Red Sox in 1916. The Herrmann archive features a who's who of Hall of Fame signatures. This sampling features (from top to bottom), Ned Hanlon, Joe Kelley, A. G. Spalding and Honus Wagner. Although many have been wrongfully removed in the tragic thefts from the National Baseball Library, some of the rarest signatures known to exist are still in the Cooperstown collection. Stay tuned in 2011 for Part II of our in-depth examination of the Hall of Fame’s “Herrmann Papers” archive…. Glad to hear of this kind of research in the Herrmann Correspondence. I’m sure there’s still a lot to learn from this rich archive. What an incredible collection they have at the NBL and its good to see that researchers are finding useful information. But will we ever know what’s really been lost?